When the bomb exploded, I was at a café outside Oslo reading on my phone. It was a gloomy Friday afternoon, 22 July 2011, 3:25pm. The news was filled with reports that Norway’s high-rise government quarter had suffered serious damage from a 900-kilo car bomb. Eight people were killed. On TV and online, pundits immediately began speculating that Al-Qaeda was responsible. In fact, the perpetrator was closer to home: a blond, 32-year-old Norwegian man from the capital’s affluent west end. The blue-eyed terrorist, Anders Behring Breivik, was one of us. After the bomb went off, Breivik sat in his car and listened to the radio. When he learned that the explosion had not destroyed the office of the prime minister, he set off in my direction – passing just yards away from the café – dressed as a police officer. He headed to Utøya, the heart-shaped island where youth members of the Norwegian Labour Party were gathered for their annual summer camp. And there he embarked on an hour-long shooting spree, killing 69 people, 55 of them teenagers. Breivik’s youngest victim was Sharidyn ‘Sissi’ Meegan Ngahiwi Svebakk-Bøhn, who turned 14 five days earlier. She had recently started her own blog, ‘Purple in Style’, named after her favourite colour, and planned to be an international fashion designer. On 22 July, Sharidyn woke up in a purple and blue tent she had put up herself. That afternoon, she met ‘the mother of the nation’, the former Norwegian prime minister Gro Harlem Brundtland. Starstruck and joyous, the 14-year-old called her mother, announcing that she now had a rival for her daughter’s greatest hero. At 5:29pm, Breivik put two bullets in Sharidyn’s back. What killed Sharidyn? The bullets? They didn’t pull the trigger. The index finger? It didn’t trigger the terrorist’s mind. It was Breivik’s lethal ideas that ended the lives of 77 people. His ideology justified the execution of those he called ‘traitors’, ‘cultural Marxists’, and supporters of the ‘multiculturalist hegemony’ – exemplified, in his mind, by the peaceful kids on Utøya island, the future politicians of the Labour Party. About the time Sharidyn met Brundland, Breivik was emailing his 1,500-page manifesto to more than 1,000 of his ideological acquaintances. The killings were a means of spreading awareness of his text. By committing one of the most heinous criminal acts ever carried out by a single man, he could achieve the global fame he sought for his ideas. Breivik called his manifesto ‘2083 – A European Declaration of Independence’. He illustrated it with the red croix patée of the Knights Templar, a 12th-century Crusader order. But why such a distant year – why 2083? If we examine the battle closely, we can understand it rather differently: as a battle based on inter-ethnic cooperation. After all, John III Sobieski (1629-96), the king of the multilingual and multi-religious Polish-Lithuanian Commonwealth, might not have won the battle were it not for the help of his country’s Sunni Muslim Tatars, known as the Lipka Tatars. ‘Tatar’ was the common name for Turkic-speaking, semi-nomadic people living on or around the immense steppes of the Eurasian continent. After the century-long ‘Pax Mongolica’ from the mid-13th century (also called the ‘Tatar Peace’) and the dissolution of the Mongol empire, a distinguished group of Muslim Tatars, fleeing the great Turko-Mongol ruler Tamerlane, asked the Christian grand duke of Lithuania (Lipka in their language) for asylum in 1397. Duke Vytautas, a national hero in Lithuanian history, welcomed them. He secured for them religious liberty and even exempted them from taxation. In return, the Lipka Tatars provided their new country, and later Poland, with military assistance, initially against Tamerlane. There was no enemy of Poland against whom they did not draw their weapons for the good of their motherland. They fought and forced out Russians, Swedes and even Turks despite their common religion – Islam. Without them the memorable victory in the Battle of Vienna would not have been possible and for this reason King John III Sobieski took them to his heart. Sobieski had actually taken the Tatars to his heart some three decades earlier. In the 1650s, he was sent on a diplomatic mission to Constantinople, today’s Istanbul, where he learnt the Tatar language. When Sweden attacked the Polish capital in 1656, Sobieski was in charge of 2,000 men from the regiment of the Crimean Tatar cavalry, who defended the Poles. This battle was part of the ‘Swedish Deluge’, in which the Swedes destroyed more than 100 Polish cities and as many churches, described as the worst attack on Poland before the Second World War. That loyalty and trustworthiness was to be proven again three weeks later, when Sobieski and his troops were chasing the retreating Ottoman forces. 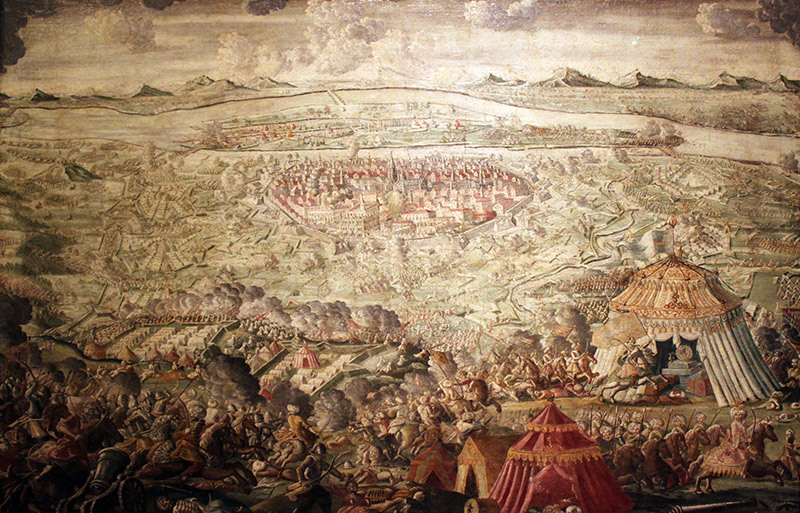 They clashed at the Battle of Párkány, by the Danube River on 7 October 1683. At one point in the mayhem, Sobieski was cut off from his soldiers and in danger of being slain. He was saved by his lieutenant Krzeczowski, according to tradition, after which Sobieski promoted the Lipka Tatar Krzeczowski to colonel, and granted him an estate in Kruszyniany, in today’s eastern Poland. Sobieski later visited Krzeczowski and thanked him on his way back from a Sejm (parliament) assembly in Grodno. People in the town can still point out the old lime trees under which the two met and chatted. Not only did a Muslim soldier save the life of the ‘liberator of Europe’, but there is no ruler so revered among the Muslim Tatars as John III Sobieski. By his actions he ensured the later construction of several mosques in the region, still standing today. Sobieski is also the European king who can be credited with securing ‘the only example of a lasting Muslim community in a non-Islamic European country … A community that has throughout the ages enjoyed the same rights and privileges until today,’ as the historian Boguslaw R Zagórski has pointed out. Such a historical background can explain why the Polish king John III Sobieski and his Muslim Tatars were the only ones to come to the rescue of the Habsburgs in Vienna. The Protestant countries would have gladly seen the Holy Roman Empire fall to the Ottomans. They had fought the Habsburgs and the Pope, and for the most part been allied with the Ottoman forces, during the 30 Years’ War (1618-48) – the bloodiest of the so-called ‘Christian civil wars’ after the Reformation. So the Battle of Vienna wasn’t a war between the cross and the crescent. It was not a clash of civilisations, a mighty Christian victory over Islam. 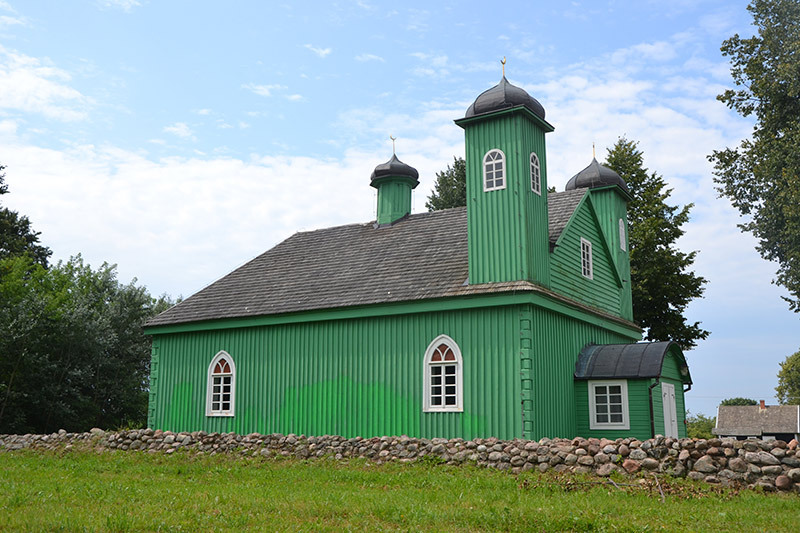 Rather, Sunni Muslim Tatars were vital in helping the Catholic Polish king on the one side – just as Lutheran Hungarians were allied with the Sunni Muslim Sultan on the other. The year 1683, in the end, was just another year of battles over power and influence between the great states of Europe. Loyalties crossed all borders of faith and ethnicity. Sobieski and his allies never ‘saved Europe’, nor Christianity, despite the claims of plaques, textbooks, and encyclopaedias. Rather, the ruler of the Polish-Lithuanian Commonwealth was Europe’s foremost saviour of Muslim life and culture in northern Europe. The Battle of Vienna was a multicultural drama; an example of the complex and paradoxical twists of European history. There never has been such a thing as ‘the united Christian armies of Europe’. Nor did the Battle of Vienna matter as much in European history as some would like to believe. After 1683, the Ottomans ruled the Balkans for two more centuries; the majority of Greeks, Bulgarians, Romanians, Serbs and Croats stayed as Christian as ever, and are today more Christian than the Austrians. As for the Sunni Muslim Ottomans, their primary enemy from the 16th to the 18th century was no European state, but the neighbouring Safavid empire of Persia and its new Twelver school of Shia Islam. Most of the time, ideas are wonderful. They are why we are all here. But some of the time, our ideas turn lethal. They are why Sharidyn is not among us anymore.